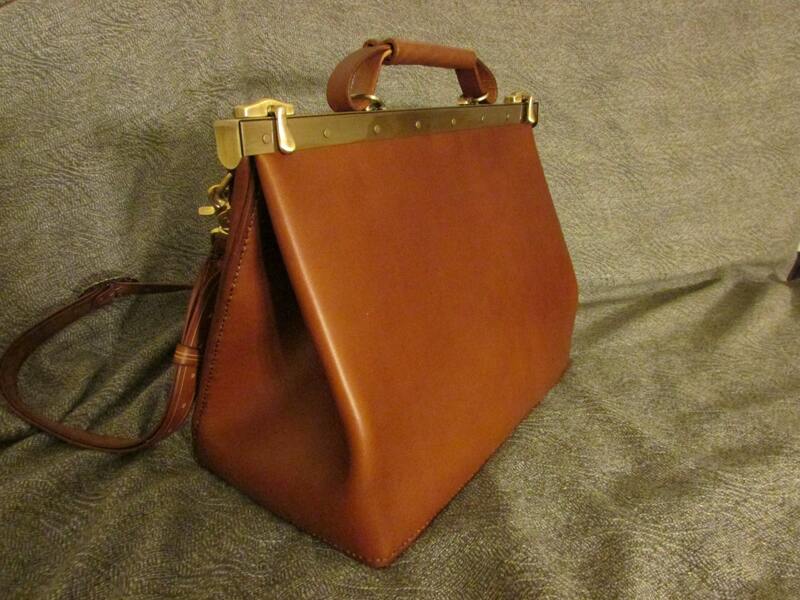 This listing is for a handmade leather doctors bag. 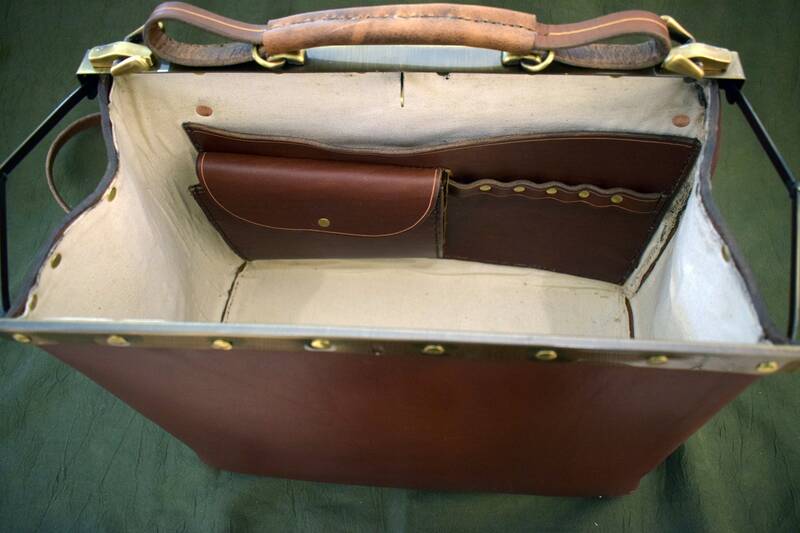 The bag is made of 5 ounce latigo leather, hand stitched together, and is available lined in canvas or pigskin for $25 more. 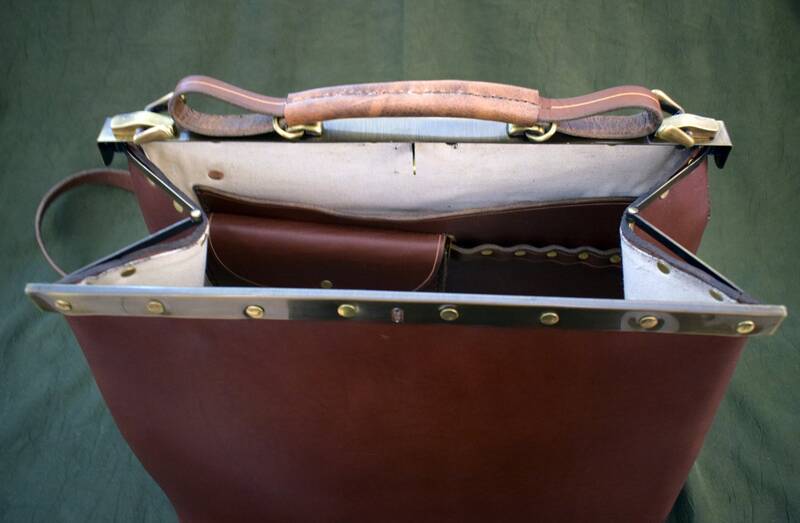 The bag is closed via a brass mechanism that is riveted to the top of the bag, and that can be locked closed and held open via the folding arms on the sides. 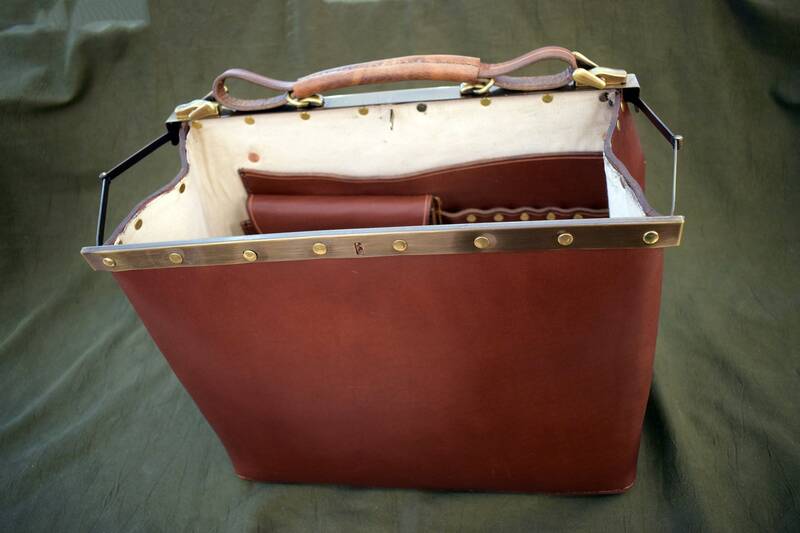 The bag features an internal "magazine" pocket, with a smaller gusseted pocket and accessory/pen strap attached. 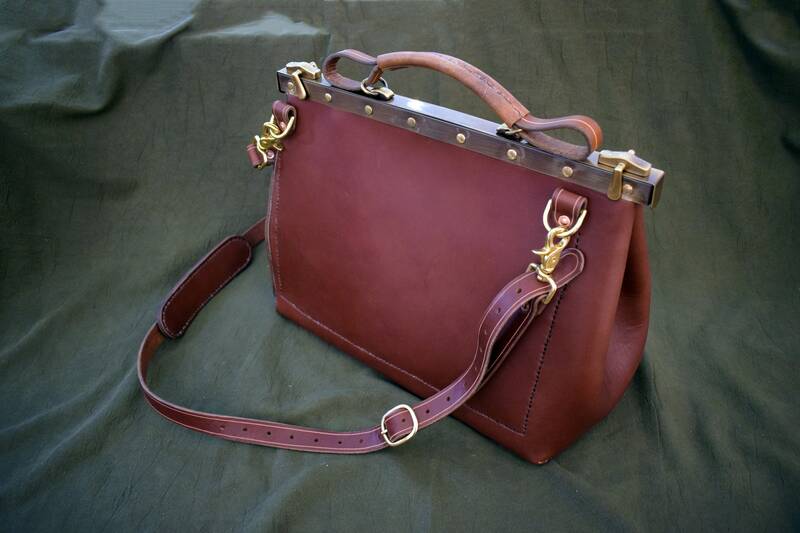 The bag can be carried via the permanently attached handle on the top, or by the removable buckled strap that attaches to the two brass D rings on the back. 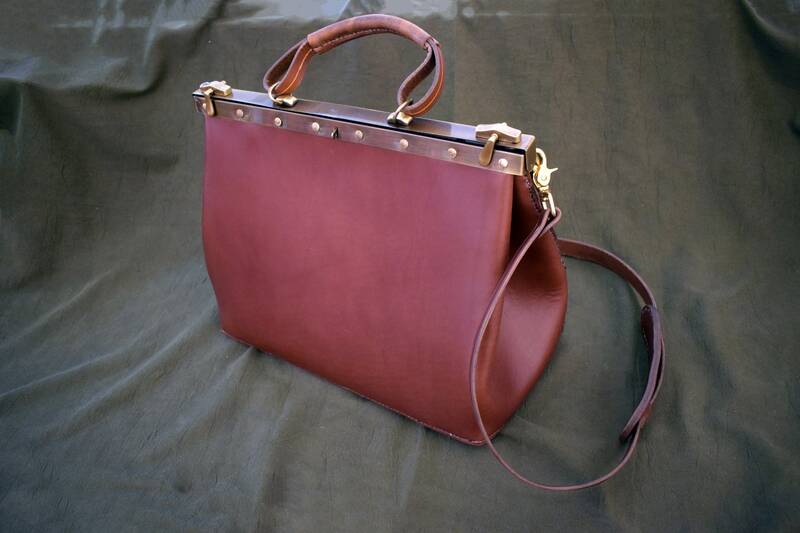 The bag pictured is the "light brown" option. For color options other than the ones listed, or for custom color options, please check out the add-on listing.